Genuine stress incontinence is usually managed conservatively in women desirous of further childbearing. 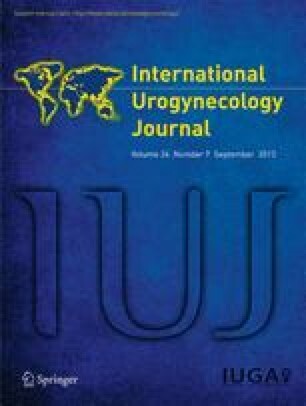 Tension-free vaginal taping is a relatively new method of surgical treatment of genuine stress incontinence. We report a case of pregnancy following the procedure. The patient was delivered by elective cesarean section. She remained continent throughout pregnancy and on a 6-month postnatal follow-up.